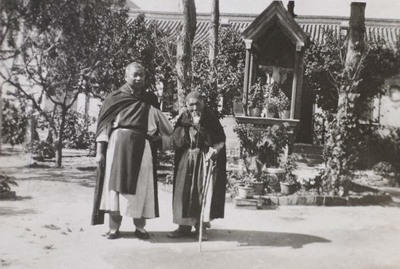 Two Chinese Cistercian monks: one is almost a centenarian. Two Chinese Cistercian monks. July 5, 1931. Société des Auxiliaires des Missions (SAM) China Photograph Collection, Whitworth University Library, Spokane.